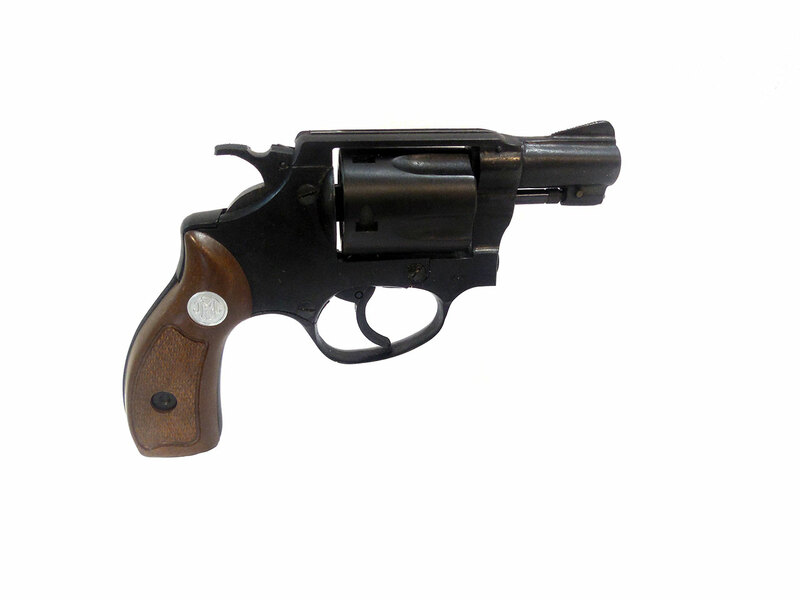 This is not an airgun, nor a firearm. It was never made to shoot projectiles of any type. 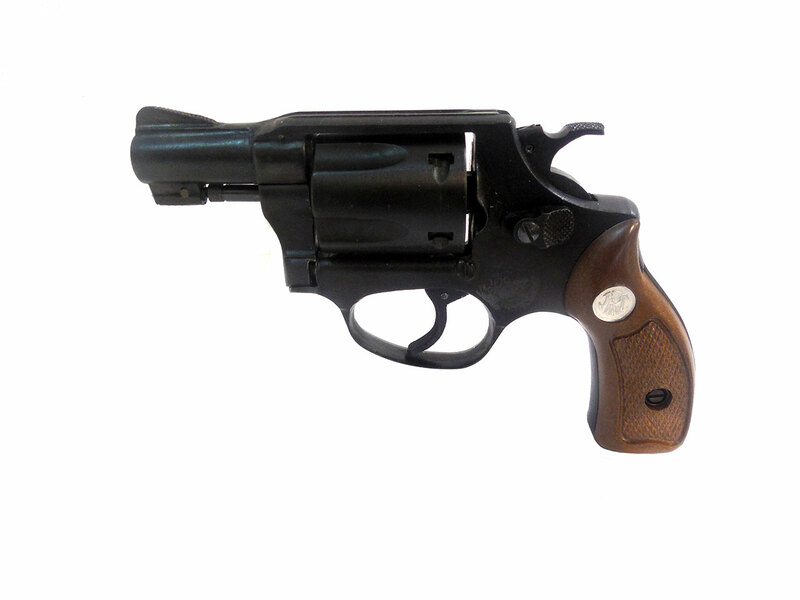 It is simply a replica of the Colt Detective .38 Special revolver. It does come with a box, though not the original. This is a pre-owned item in good working condition. All of the parts that should move do, it just doesn’t shoot anything.